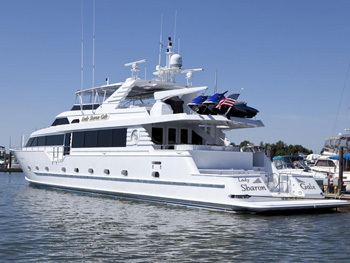 LADY SHARON GAYLE (previously "Strait Jacket") is a 34.11m (111' 11") yacht built by Broward Marine in 1999. 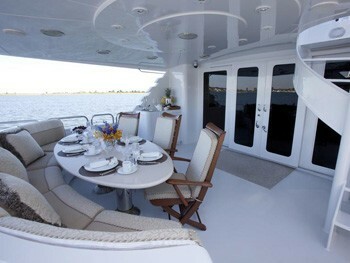 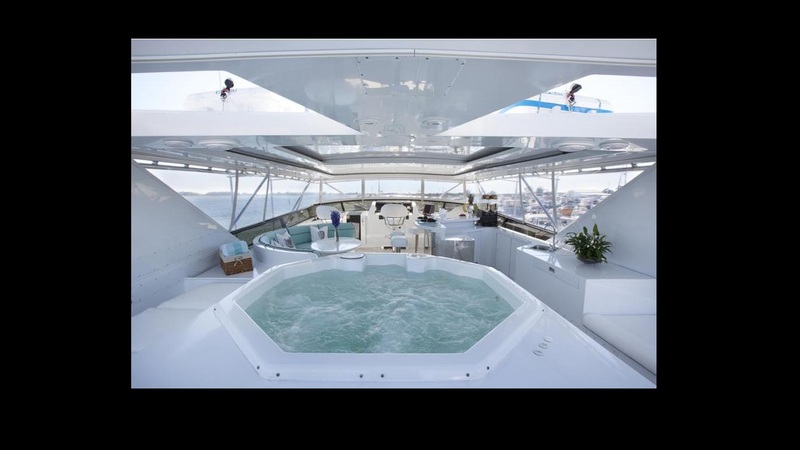 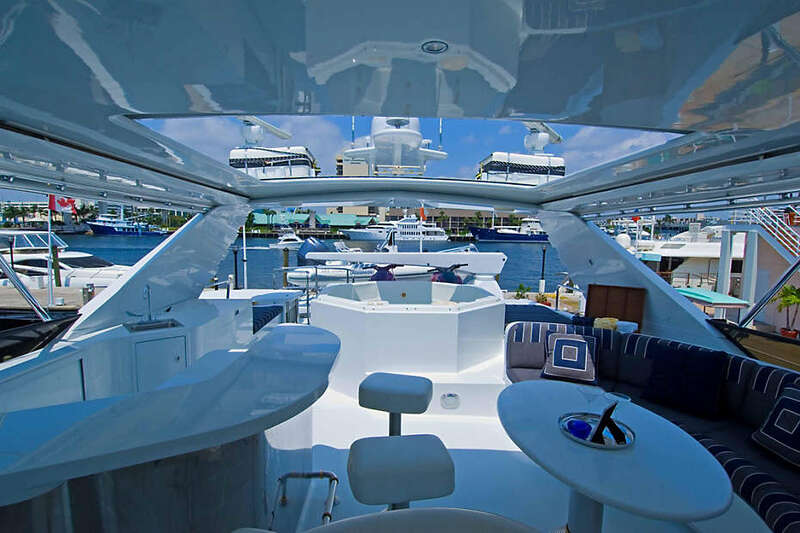 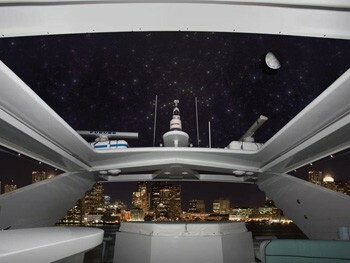 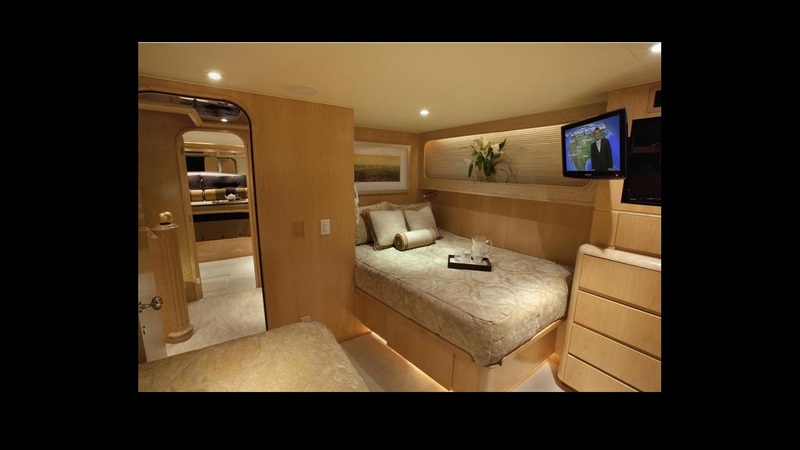 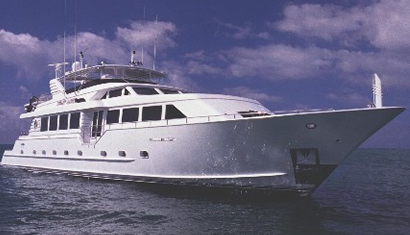 This customized 111 Raised Pilothouse Cockpit Motor yacht can accommodate up to 8 guests in 4 cabins below deck. 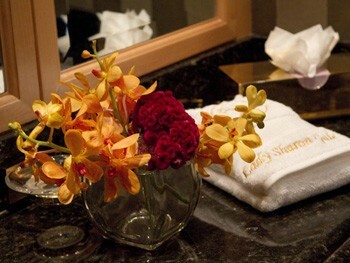 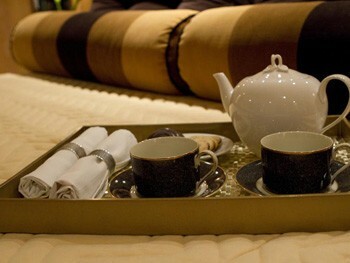 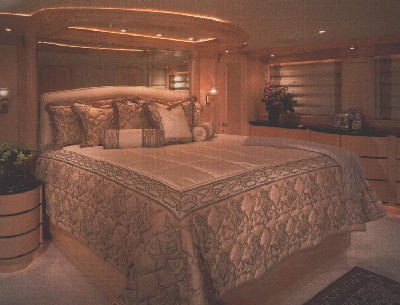 LADY SHARON GAYLE has a luxurious custom interior that is beautifully panelled in satin finished maple throughout. 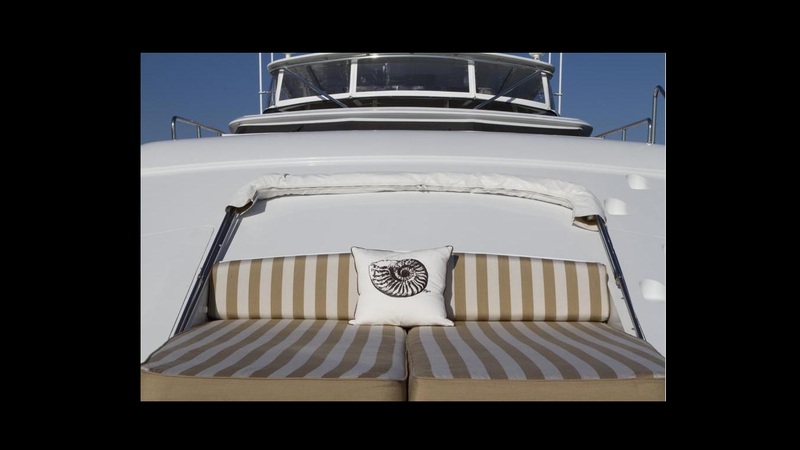 The new furnishings, fabrics and stone are of the highest quality and the décor provides a perfect combination of informal elegance. 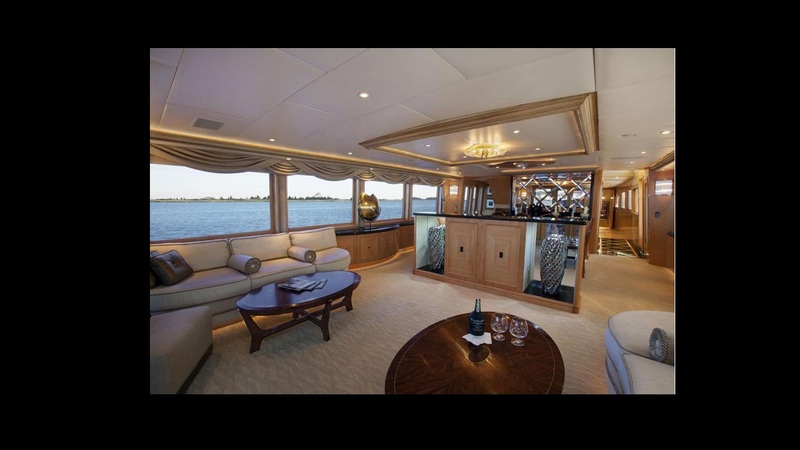 She boasts a country-kitchen galley with dinette and a spacious salon with a formal dining area with bar, living room area and full entertainment system that caters to practical and informal day to day living and relaxing. 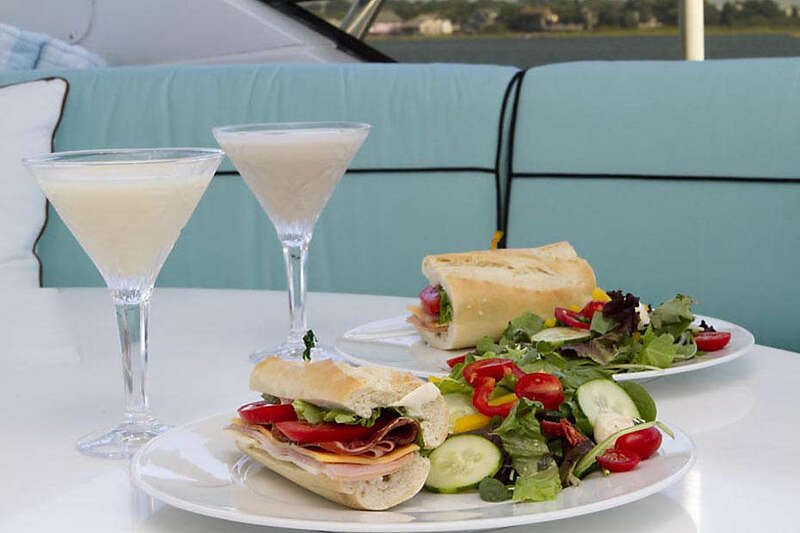 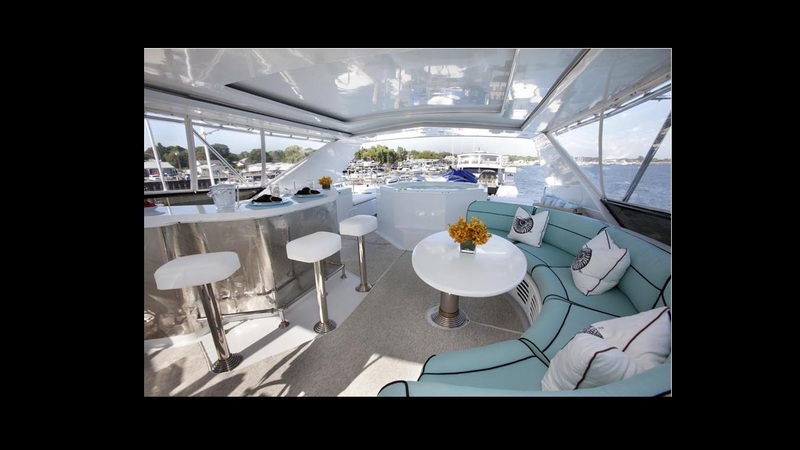 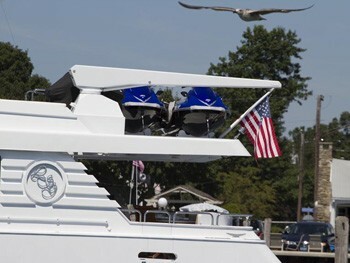 There is also plenty of space to enjoy the outdoors with a large aft deck with dining for 10 guests and an oversized fly bridge that offers a 6-person spa pool along with a custom retractable hardtop. 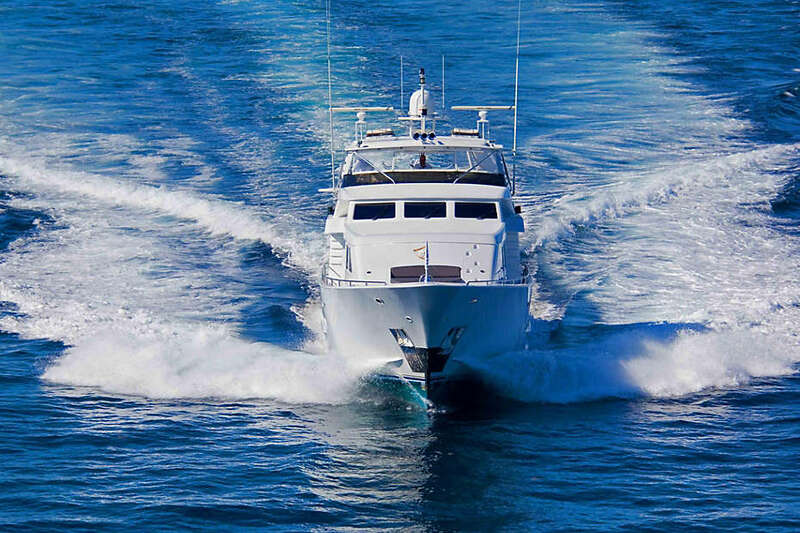 Powered by twin 1800hp Detroit Diesel engines, she can attain a maximum speed of 18 knots with a cruising speed of 12 knots. 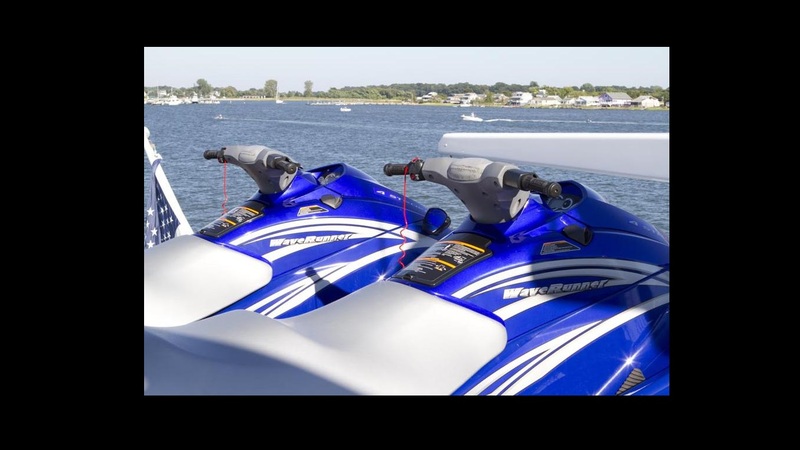 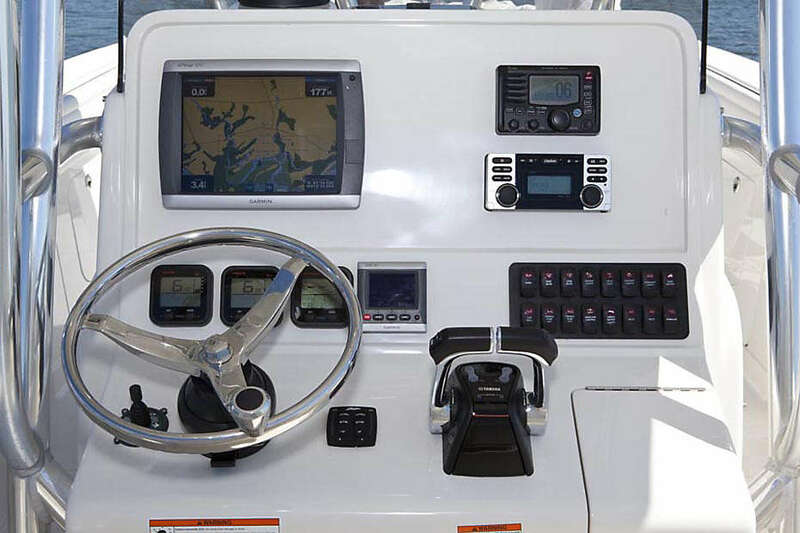 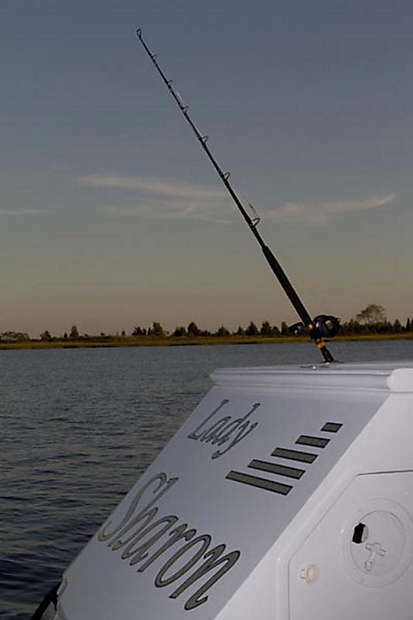 LADY SHARON GALE has a great selection of water toys and equipment onboard including a Towed Tender, an 18' Inflatable tender, 2 wave runners, snorkelling gear, fishing gear, tubes, a wakeboard and water skis. 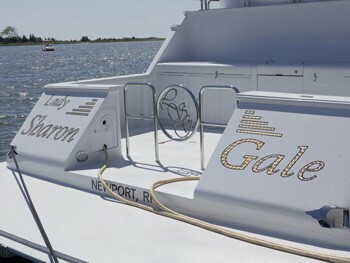 Originally commissioned as Varsity Jacket and then becoming Strait Jacket, LADY SHARON GALE has a successful charter history. 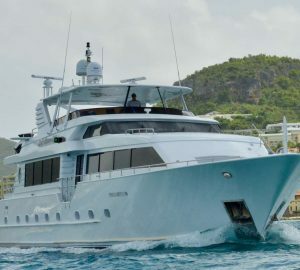 In 2010, M/Y Lady Sharon Gale received a refit which included the replacement of interior soft goods, furniture, entertainment systems, exterior cushions and many more upgrades. 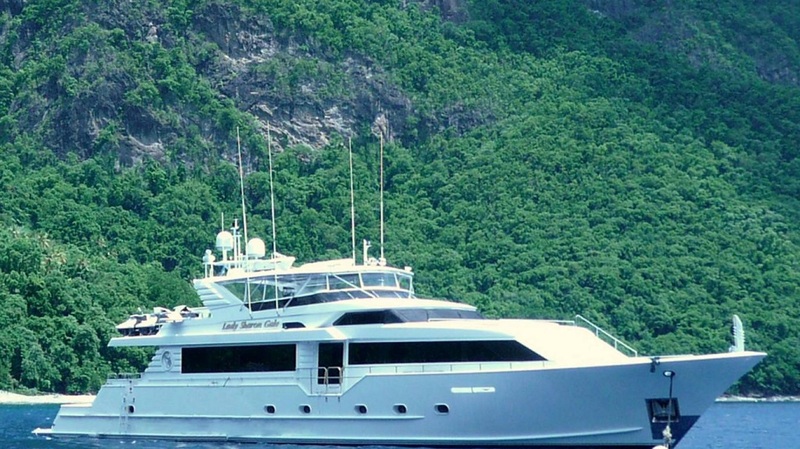 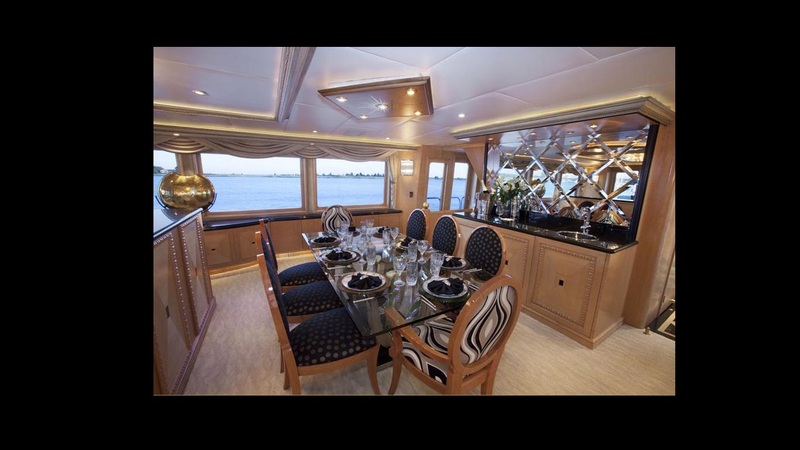 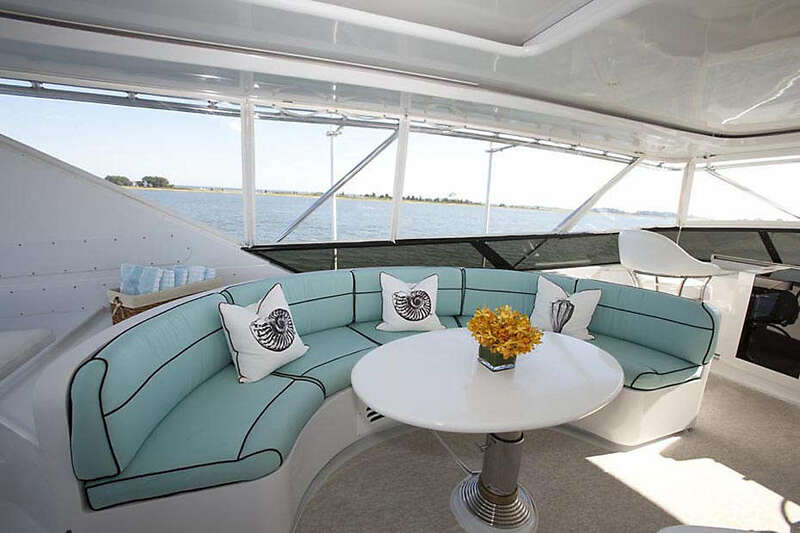 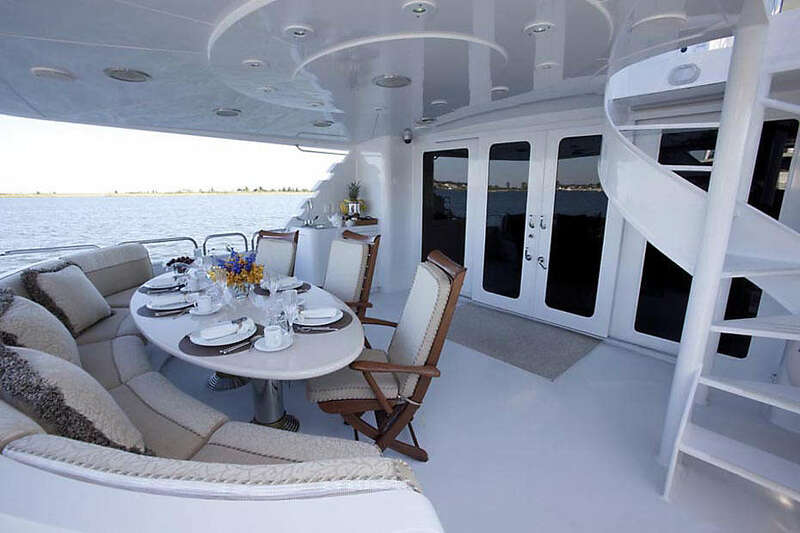 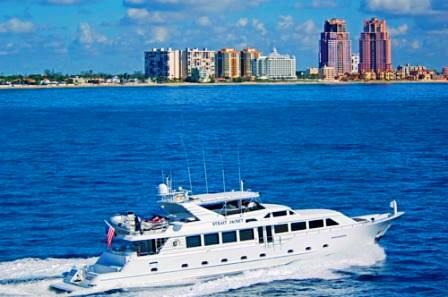 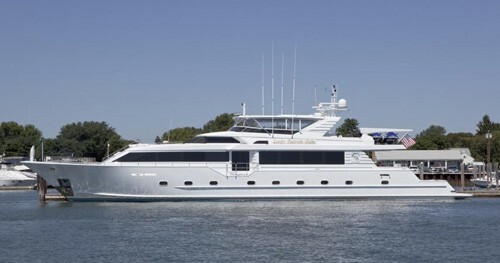 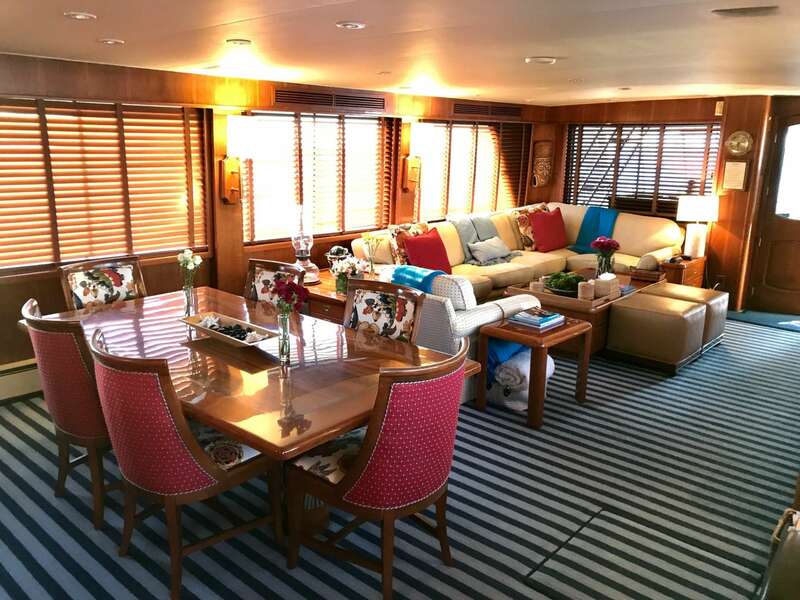 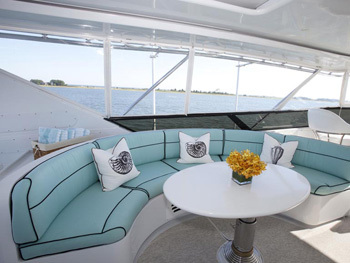 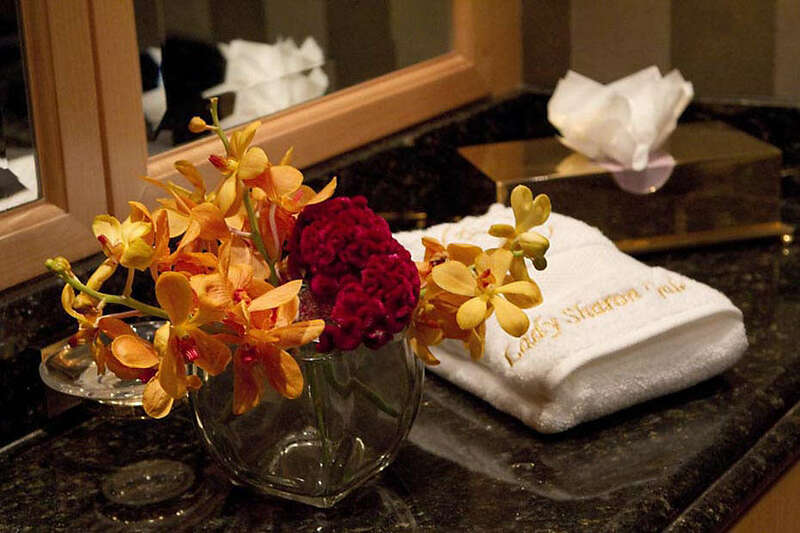 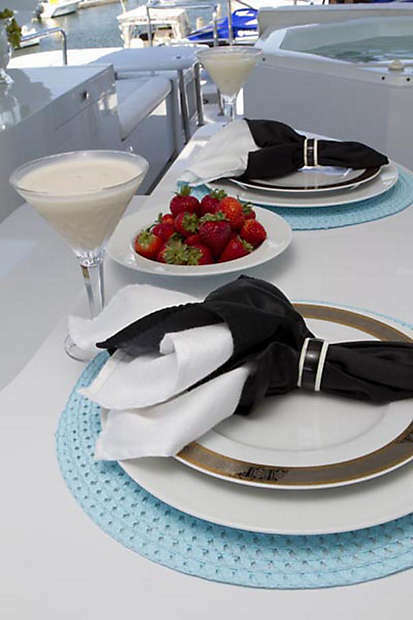 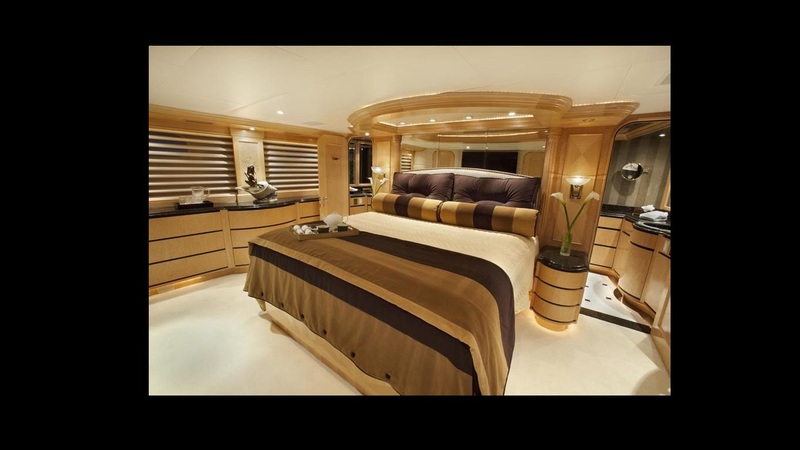 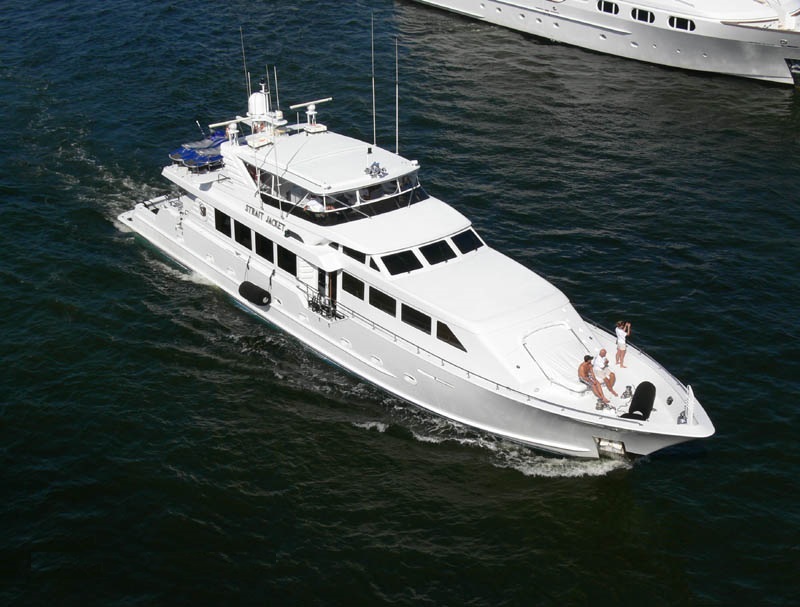 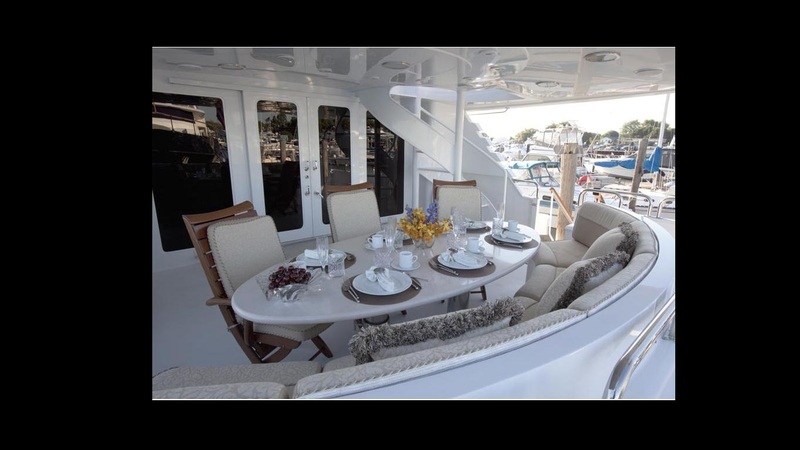 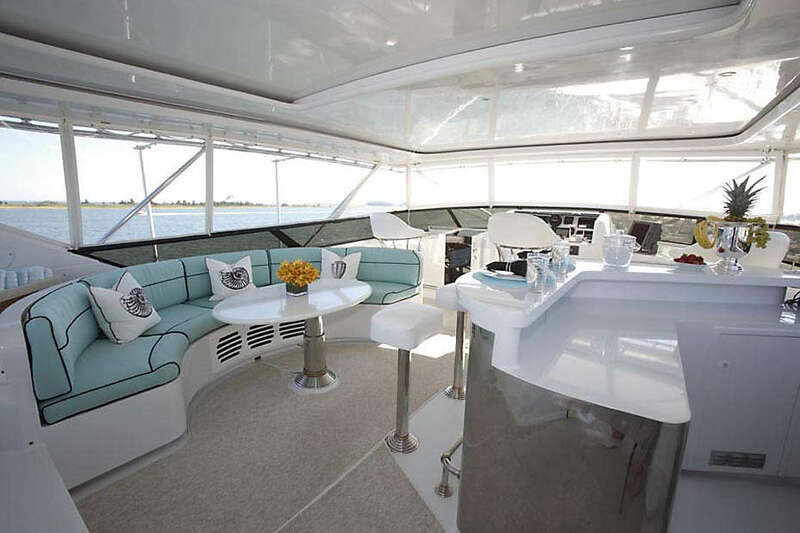 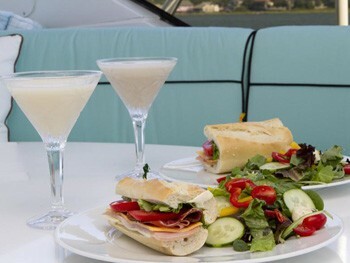 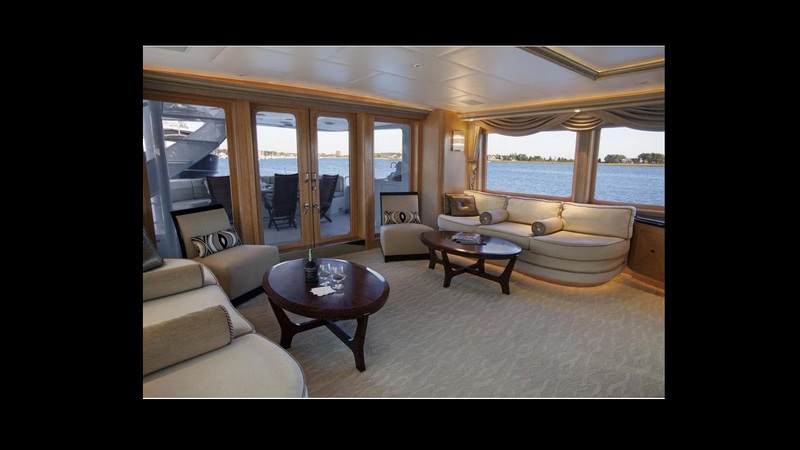 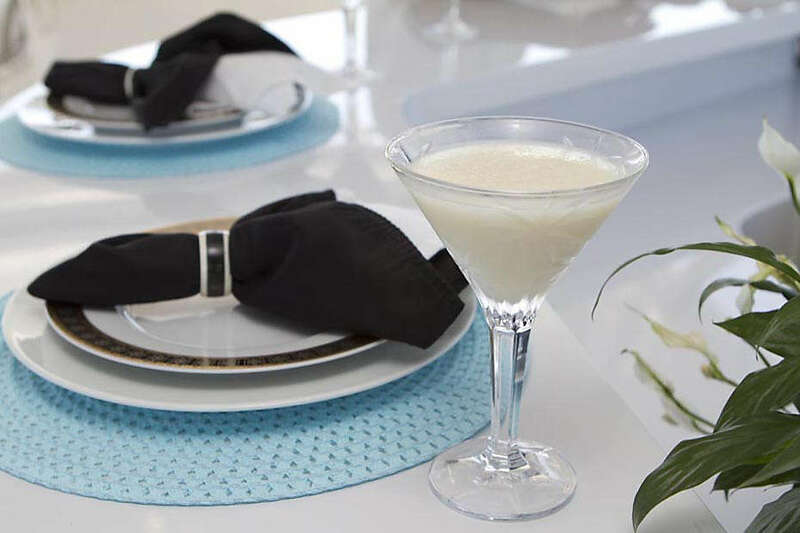 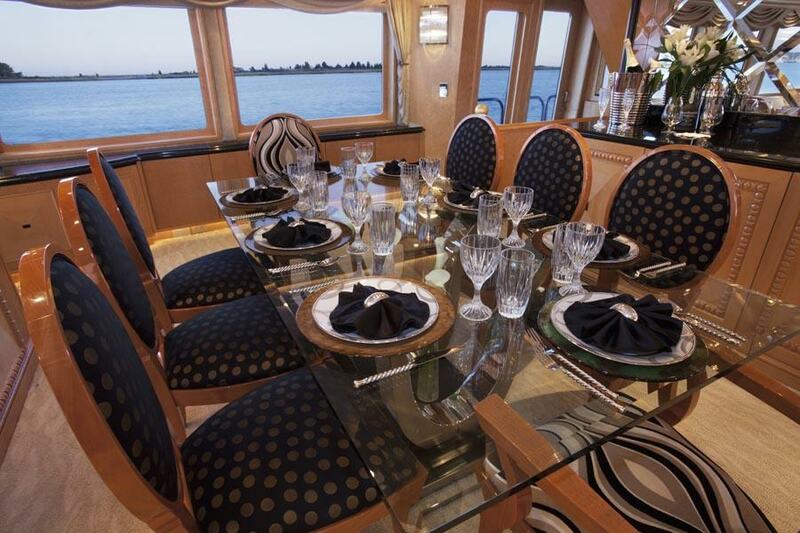 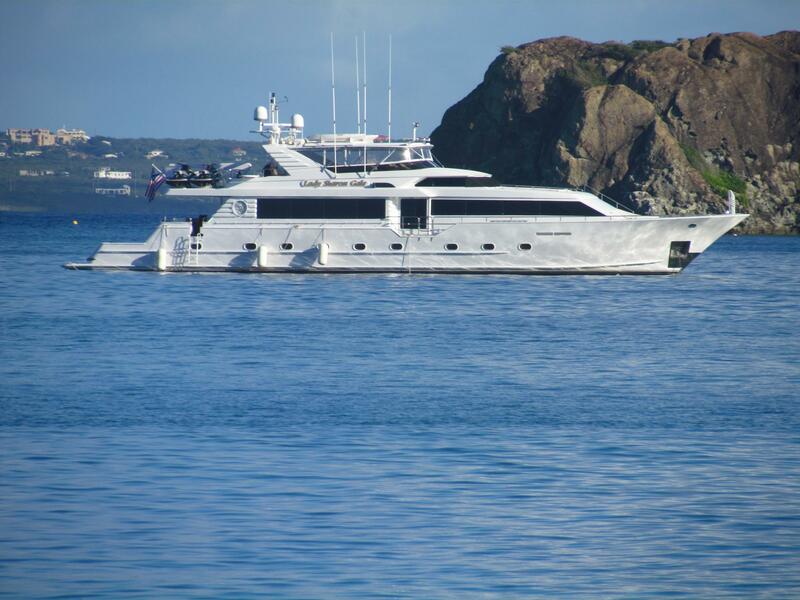 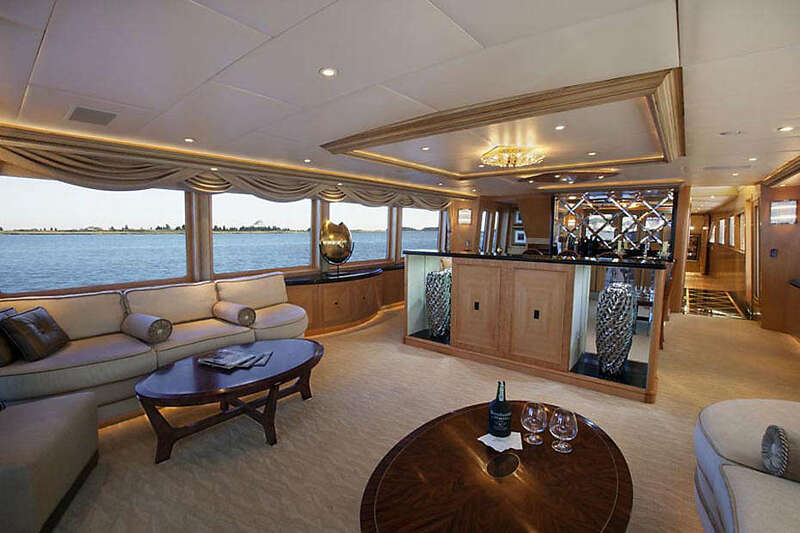 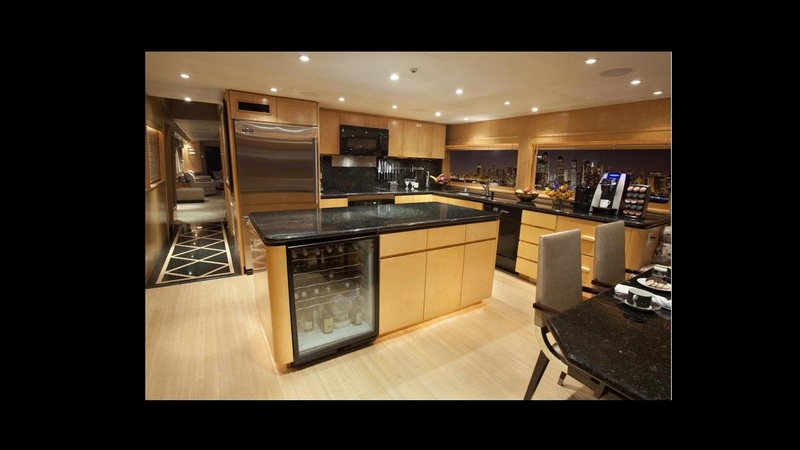 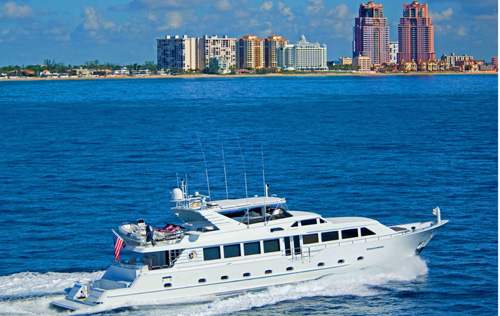 Motor yacht LADY SHARON GALE is able to accommodate up to 8 guests in 4 cabins below deck. 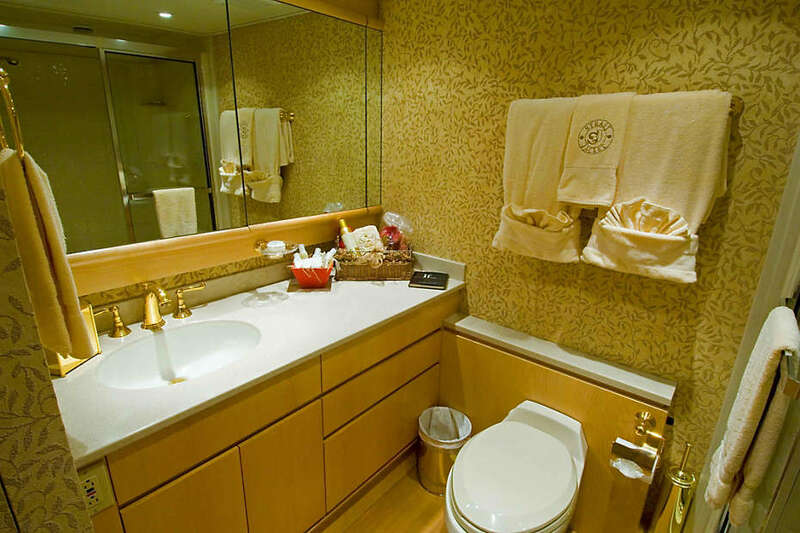 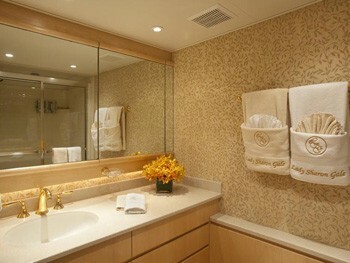 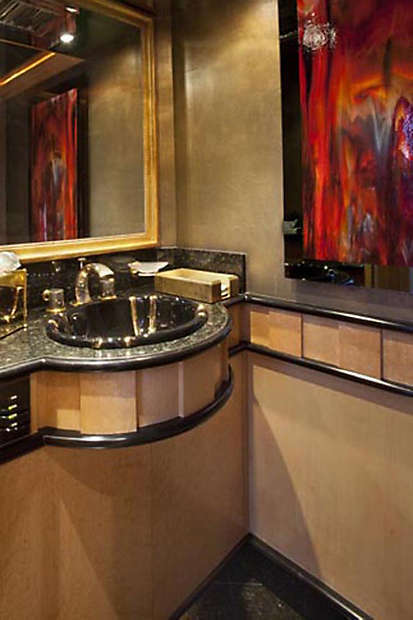 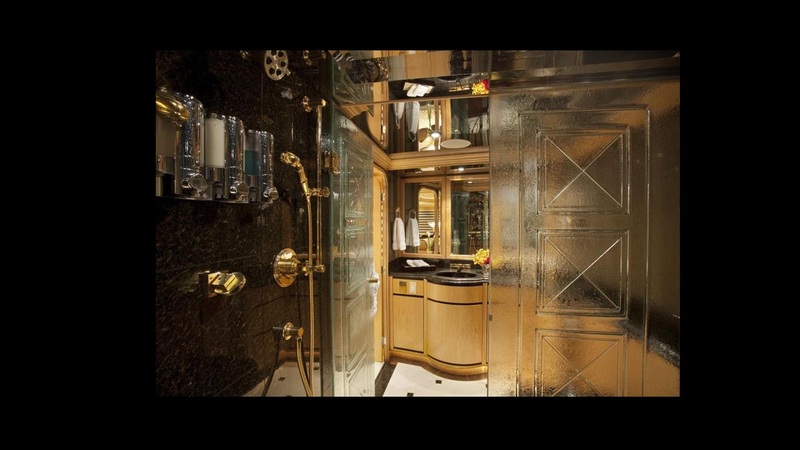 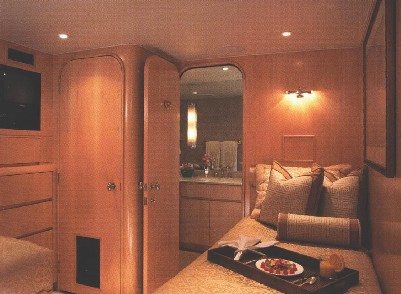 The master stateroom features a king size bed, large flat screen TV with all of the entertainment options, cedar lined closet and his-and-hers baths. 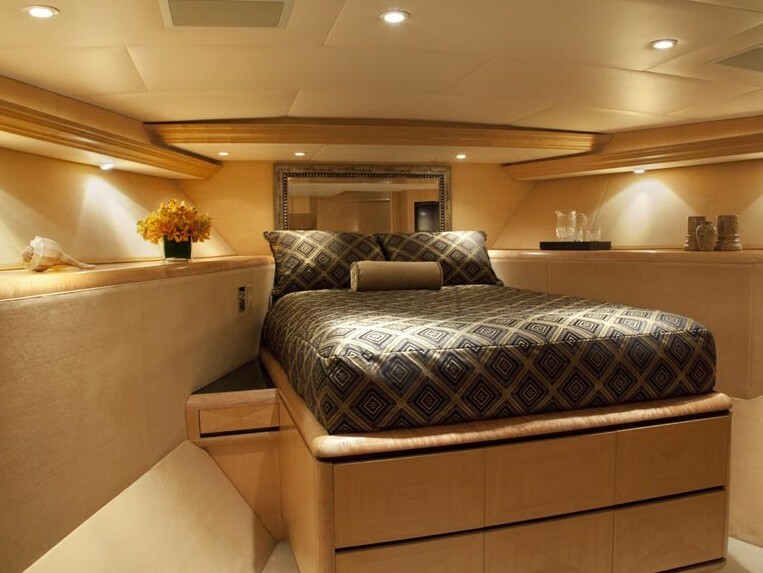 The VIP stateroom is unusually large, and features a queen size bed, very large and comfortable ensuite bathroom with shower and occupies the entire bow area. 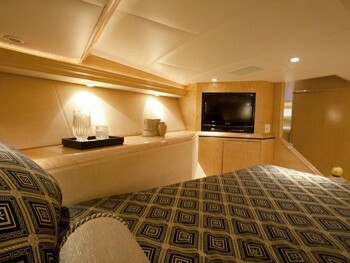 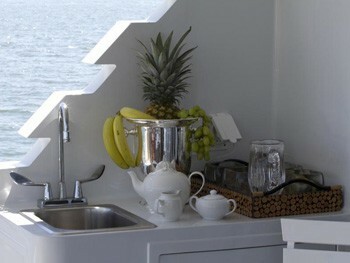 There are 2 identical guest staterooms that offer a double bed in addition to a single bed in each cabin. 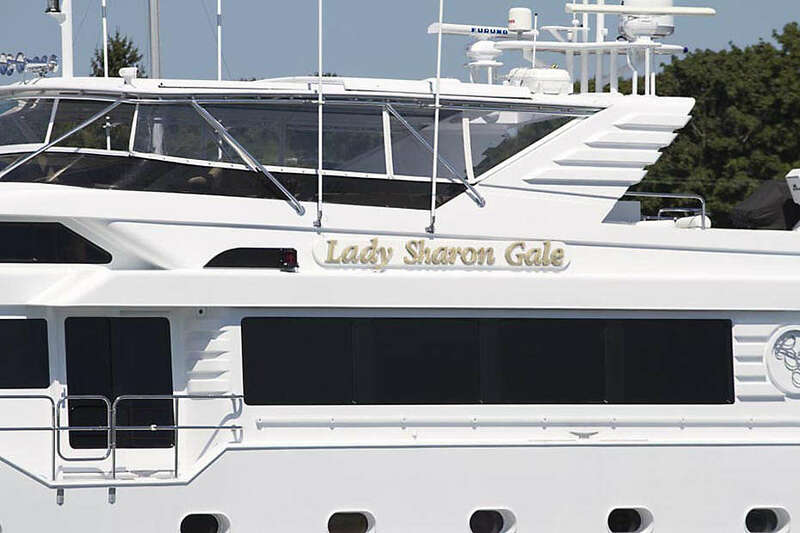 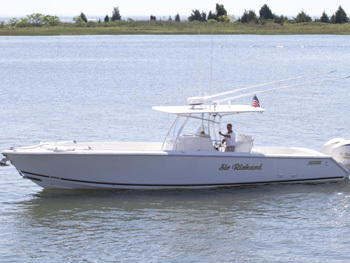 LADY SHARON GALE has the following extras onboard: Tenders & Toys include a Towed Tender, an 18' Inflatable tender, 2 wave runners, snorkeling gear, fishing gear, tubes, a wakeboard and water skis. 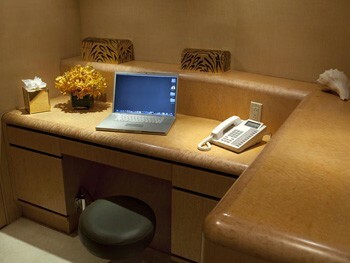 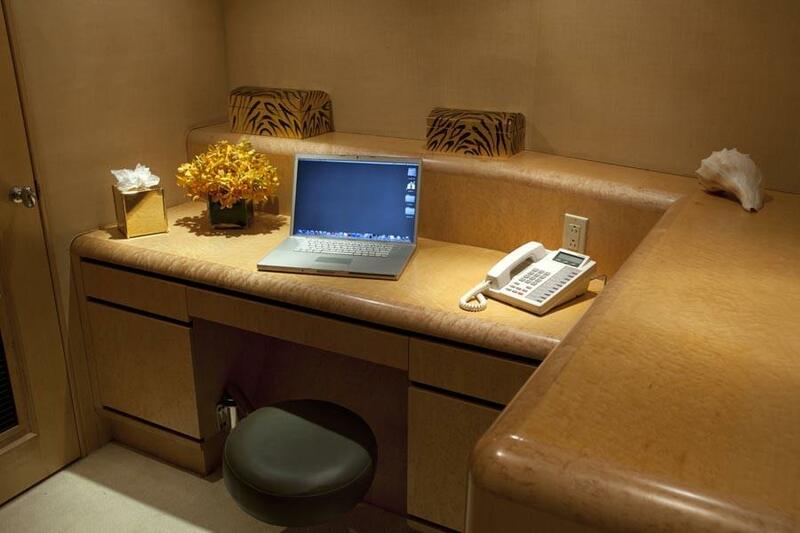 Communications include Sat Com, cellular and wi-fi booster where available. 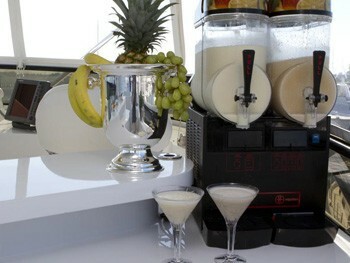 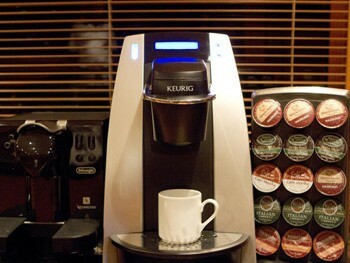 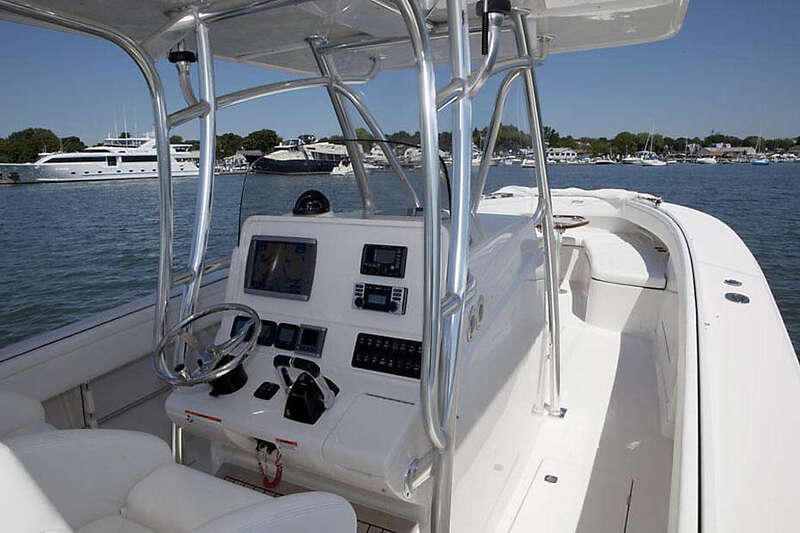 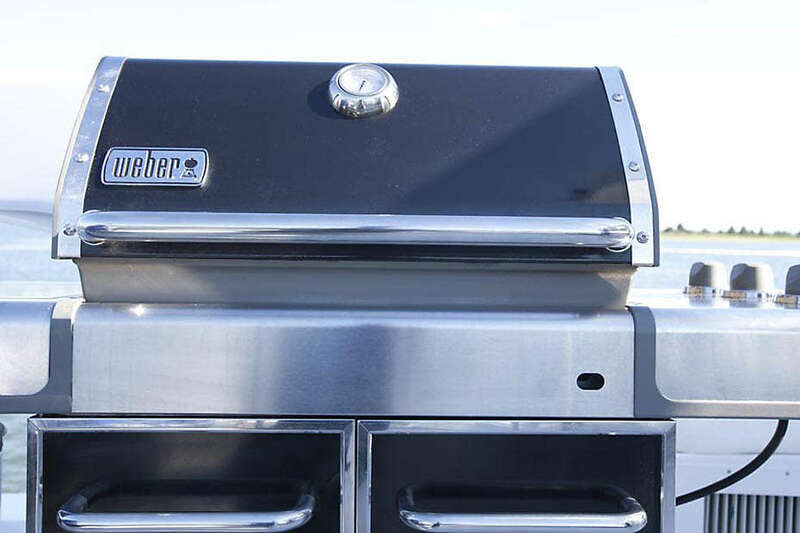 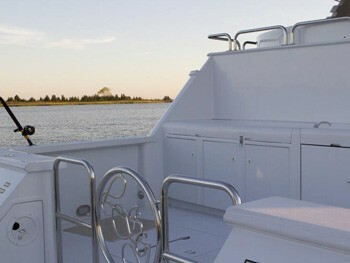 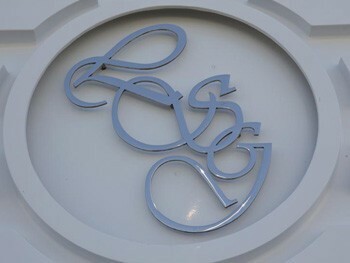 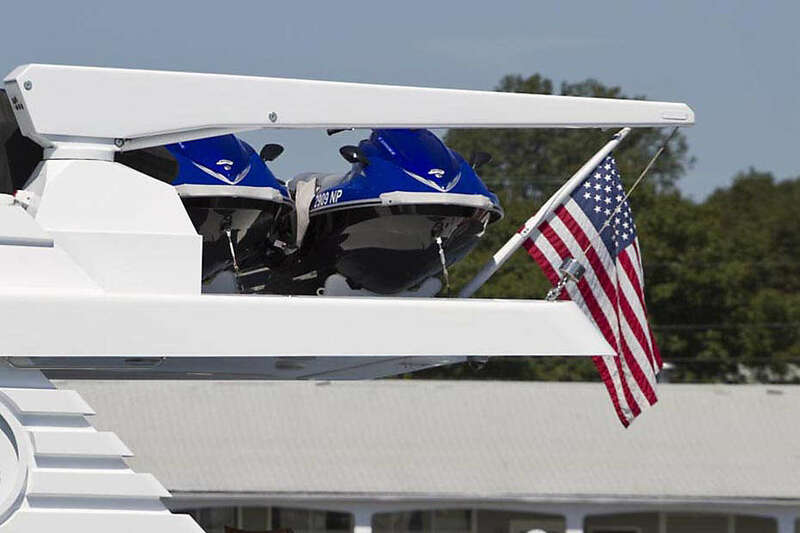 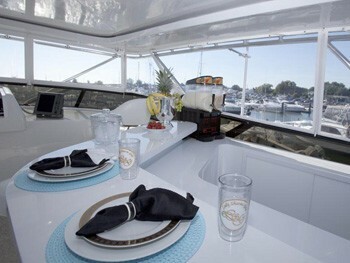 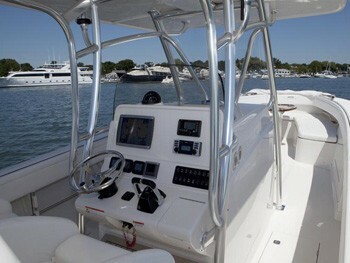 Audio Visual Equipment and Deck Facilities include all new updated TV's and entertainment systems. 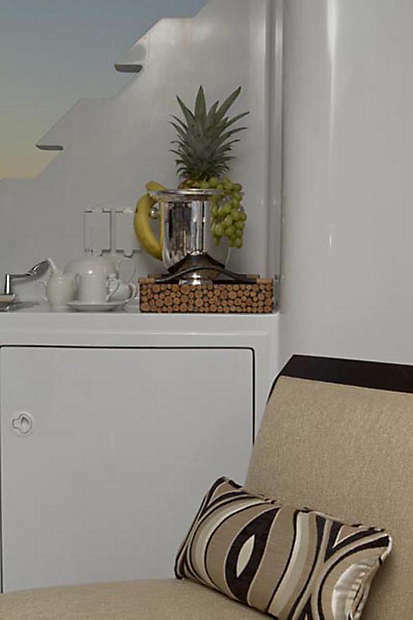 Direct Sat TV in all rooms. 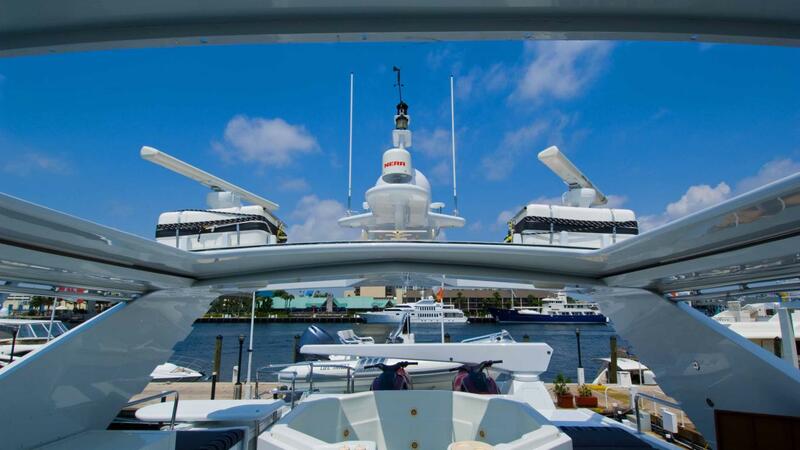 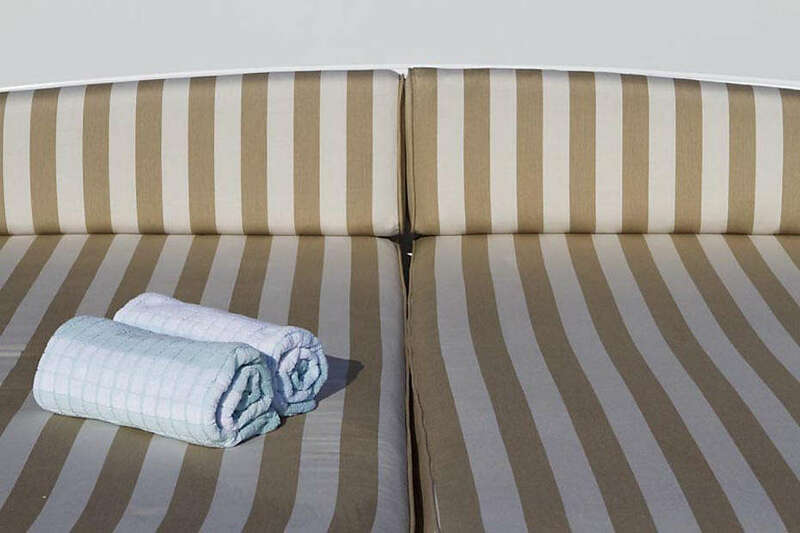 Fly bridge retractable hard top with customized sit down, table with seating for dining, large Spa Pool and sunning areas.